You have to manufacture golf shots and make them happen. Strategy is an important key to a successful round of golf here. My hope is that golfers will enjoy this dimension of the game. 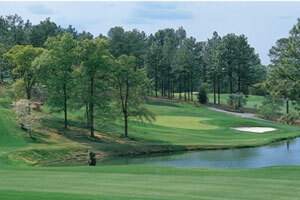 Talamore is intended to capture the best of classic golf in the Pinehurst area. The site has a spirit that’s unmistakable: one that allowed for a remarkable diversity of features. There’s a challenge in the course that’s meant to add to the enjoyment of the game. After all, golf is supposed to be fun.